Designed using green building guidelines, the community is near shops, restaurants and entertainment. The Morrison is one of downtown Portland’s most exciting apartment communities, offering 140 studio, one and two-bedroom homes. 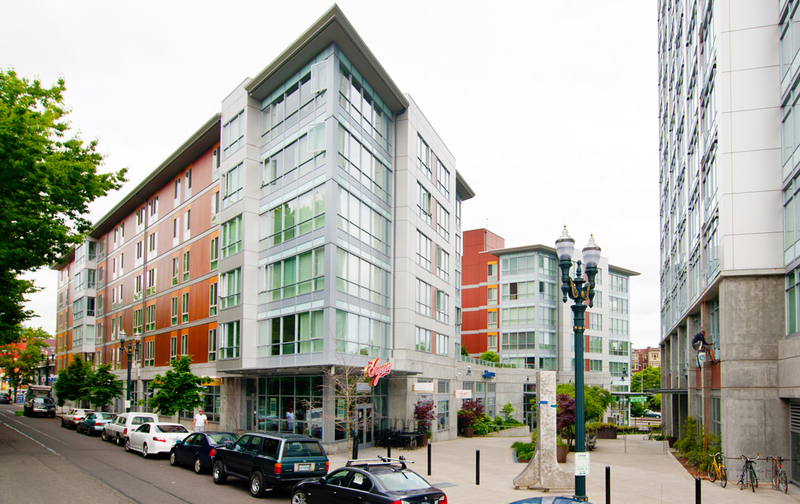 Part of a larger neighborhood of retail shops and residences built in 2007, this five-story apartment community sits above retail shops and underground parking and is conveniently located at SW Morrison Street and 19th Avenue. The Morrison is one of downtown Portland’s most exciting housing opportunities. It offers a controlled access building with keyless entry, secured parking available for lease, and a large landscaped courtyard. The building was designed using green building guidelines and is furnished with Energy Star© rated appliances. The Morrison is adjacent to Providence Park and close to employers, shops, restaurants, and entertainment in the NW 23rd Avenue retail district and the Pearl. MAX light rail and bus lines are just outside the front door.